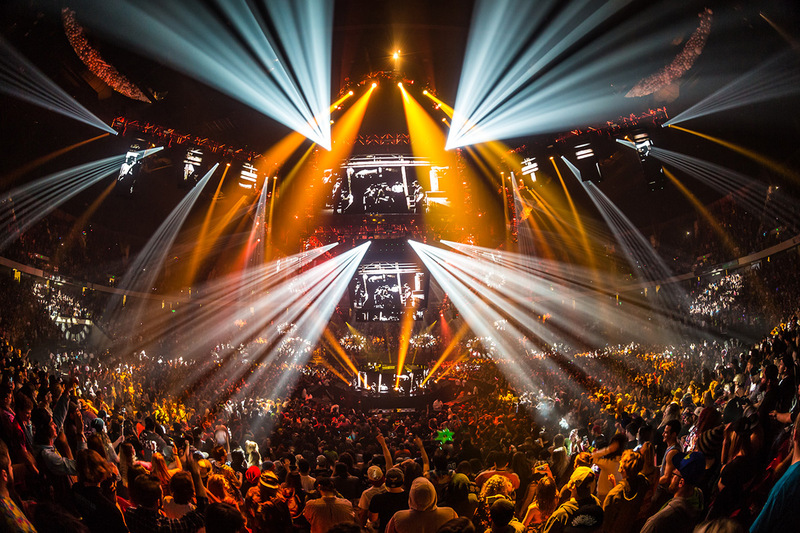 Genre-defining arena DJ & producer Bassnectar, meticulously crafts video content for his ever expanding catalog of live tracks. 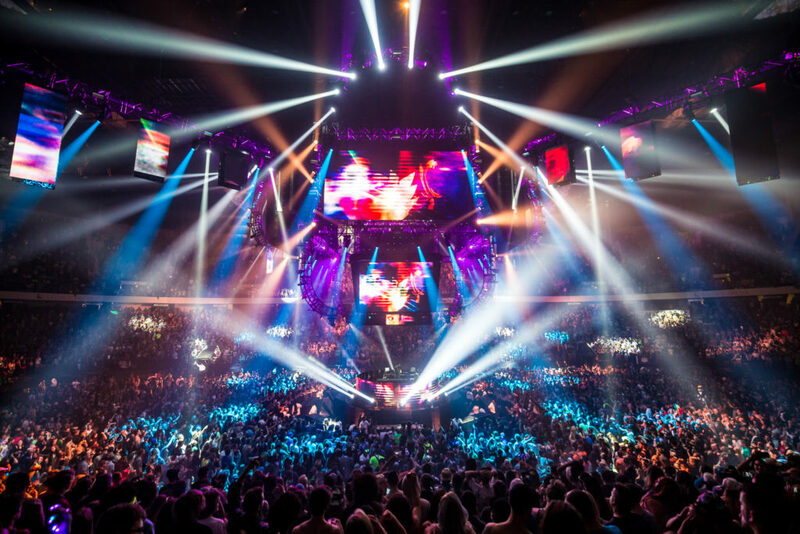 Lorin ( Bassnectar ) works closely with his visual team to make highly synchronized audio/visual pieces. Playing these pieces live poses a challenge because of the improvisational nature of the Bassnectar show. 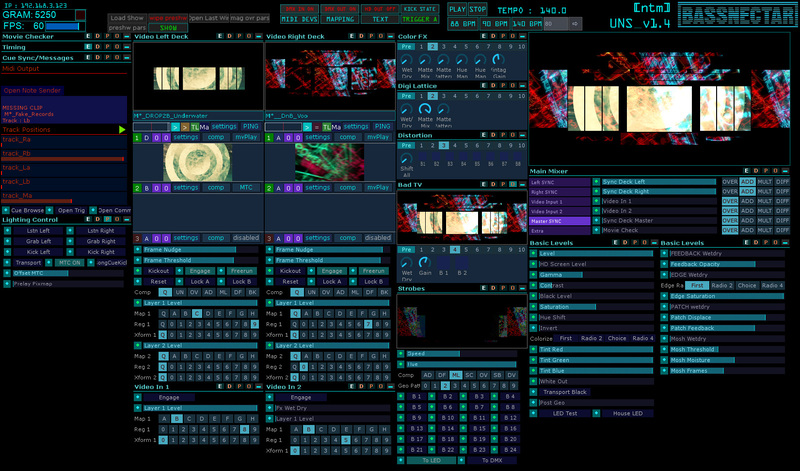 [namethemachine] was commissioned to develop the Ultimate Nerd Server (U.N.S): a real time show control system that merges with Bassnectar's unique DJ style. Peter Sistrom and Matt Davis developed a synchronization system between Ableton Live, Max/MSP and TouchDesigner that forms that backbone of the UNS. The system enables synchronization of audio clips with video. It allows Bassnectar to fire any song at any time, scrub within the song, add new songs from his catalog live, and change tempo knowing that the video will stay in sync. The UNS is truly a “holy grail” of AV performance. The Max For Live Plugins created by Matt Davis. On top of the core “clip-sync” functionality, the UNS is integrated with a set of audio reactive effects, dmx pixel mapping ability, dmx synchronization with the lighting console and a sophisticated cue editing and searching system. Mary Franck helped design and program some of the underlying data structures for creating cues by building an incredible cue editor, as well as making some of the realtime effects. 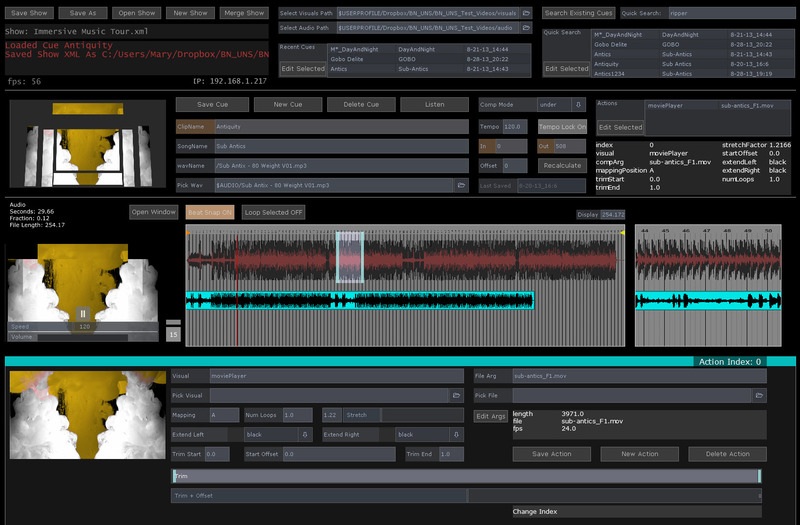 The editor allows videos to be aligned to audio similar to a traditional video editing program. It supports searching the cue database by cue name, song, name, or date; merging collections of cues; and previewing the screen layout. 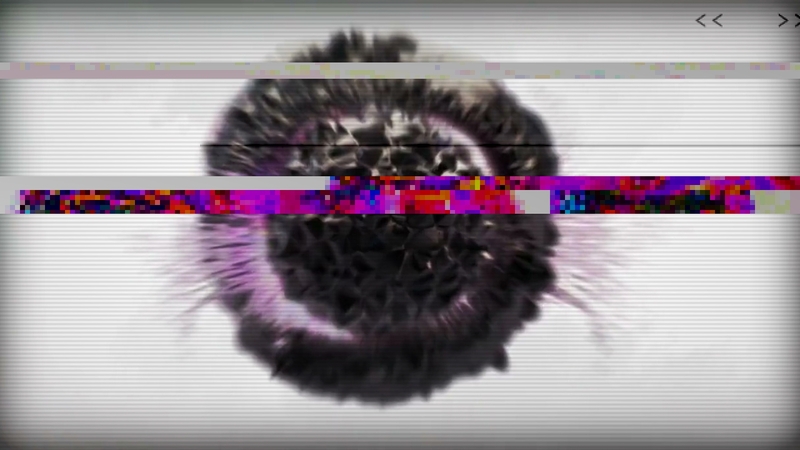 Custom effects and filters help punctuate the show: glitching, shattering, and distorting Bassnectar’s high-energy content. 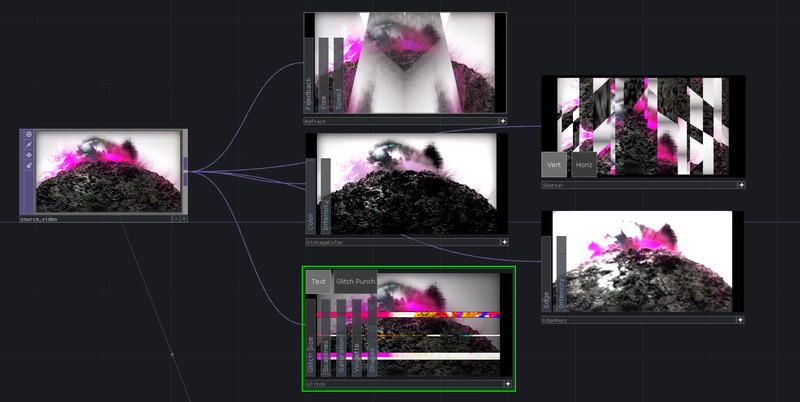 Generative and realtime elements driven directly by the audio and music tempo add extra responsive elements.